100 PERCENT FINANCING MAY BE AVAILABLE FOR HAIR, BEARD AND EYEBROW TRANSPLANT; IF YOU QUALIFY. Popular Hair Doctors from Orange County CA have the most advanced non-surgical hair restoration system available today. Hair restoration is for both men and women. Our physicians and team of experienced medical professionals use advanced hair replacement methods to give you the desired result. We use SmartGraft, a smarter option for both men and women seeking a permanent solution to hair loss as well as for those seeking eyebrow restoration or facial hair restoration. Rather than a scalpel, SmartGraft uses a combination of precision craftsmanship and state-of-the-art technology. Popular Hair Doctors provides treatments for patients in California in the Orange County CA and in the Los Angeles CA. The following amount of grafts and hairs is an estimation only. Hair Loss can become Hair Growth! Your new look will make you look the leader you always wanted. We have great deals and will work with you on your hair restoration. We will be creative, enjoy your natural look and live like rock star. Transform your Hair Loss into Hair Growth! 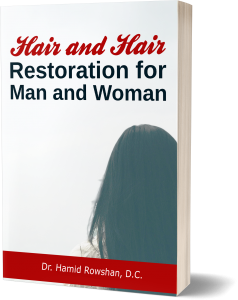 After bone marrow, hair is the second growing fastest tissue in your body, thus many metabolic derangements can be� Read More….